Vatican adviser Jeffrey Sachs says the Pope will be attacking the “American idea” of a right to life, liberty and the pursuit of happiness when he speaks to Congress in September. We talk with Vic Biorseth of CatholicAmericanThinker.com about the ominous and dangerous developments within the Roman Catholic Church. Vic is a traditional Catholic who believes Pope Francis is a Marxist. But will Francis change church teachings on faith and morals? Will America and the world survive this pope? The domestic aspect of the makeover is the lesser achievement. When the Mohammed cartoon contest in Garland, Texas was attacked by two jihadists with assault weapons and possibly bombs, a single Texas off-duty cop took out both attackers with his service pistol. Apparently Texas is the only place in the world that can cope with jihadist assaults. In one fierce action that unknown cop made a solid case for the Second Amendment. But our Islamophile media mob instantly blamed the victim. Pamela Geller was verbally smeared for standing up against Islamo-fascism. Apparently religious fanatics from the 7th century desert have no need to control their own behavior. They have just become as inevitable as death and taxes. Muslims around the world got that message: Don’t mess with Texas, but the US media are eager to surrender. It’s just a matter of cranking up the threat. Our media mob is all for the First Amendment except when it’s dangerous to do so. But partial control of the media is not enough for Obama the Magnificent. President Obama recently hinted at forcing Fox News to stop disagreeing with him (“we're going to have to change how the media reports on these issues”). Our fearless leader is so deeply fixated that he can’t imagine being wrong. Obama has a Napoleonic mindset, with no real precedent in American history. But Napoleonic delusions are common enough in one-party dictatorships. The president must have been told a thousand times that Iranian nukes would trigger a nuclear arms race in the Middle East -- by our military, by the Saudis, the Israelis, the French, the Russians. He never listened, and just made more and more concessions to Iran’s nukes -- while lying about it to the world. Today the nuclear arms race is heating up in the most unstable region in the world, and no serious person believes Obama anymore. President Obama's Opening The Major Mega Mosque In The U.S.
“Bırakma Allah’ım” (Allah do not forsake us) was repeated several times by Erdoğan of Turkey in the Jihadi-toned poem he read which was infused with Muslim code-talk calling for Jihadi warfare. Erdoğan promoted this in Turkey while his Minister of Foreign Affairs, Mevlüt Çavuşoğlu, on his visit to the Turkish funded mosque in Maryland this Sunday said that it was President Barack Hussein Obama himself who had agreed to the construction of the elaborate grand mosque in Maryland, USA. Erdogan while promoting himself the Sultan of Turkey also wants to supercede the Saudi Wahhabists in mosque expansions throughout the world, especially in the Turkic regions of the north (learn more about this plan here). The United States was not immune of such an Antichrist agenda which Obama gladly allowed and falsely denied. President Obama will once again avoid using the word “genocide” at a ceremony to designed to memorialize more than a million Armenians murdered by the Ottaman Turks 100 years ago. During his 2008 campaign, then-Senator Obama repeatedly promised he would label the massacre a genocide as president. The LA Times reports the decision to avoid using the word genocide was revealed Tuesday after the White House held a meeting with Armenian groups. The ceremony marking the 100th anniversary of the deaths of as many as 1.5 million people will be held this Friday. In 2008, Senator Obama committed to recognition of the Armenian Genocide if elected president on his campaign website. I also share with Armenian Americans – so many of whom are descended from genocide survivors – a principled commitment to commemorating and ending genocide. That starts with acknowledging the tragic instances of genocide in world history. As a U.S. Senator, I have stood with the Armenian American community in calling for Turkey’s acknowledgement of the Armenian Genocide. Two years ago, I criticized the Secretary of State for the firing of U.S. Ambassador to Armenia, John Evans, after he properly used the term “genocide” to describe Turkey’s slaughter of thousands of Armenians starting in 1915. I shared with Secretary Rice my firmly held conviction that the Armenian Genocide is not an allegation, a personal opinion, or a point of view, but rather a widely documented fact supported by an overwhelming body of historical evidence. The facts are undeniable. An official policy that calls on diplomats to distort the historical facts is an untenable policy. As a senator, I strongly support passage of the Armenian Genocide Resolution (H.Res.106 and S.Res.106), and as President I will recognize the Armenian Genocide. Earlier this month, Pope Francis commemorated the 100th anniversary of the Armenian Genocide, calling it the first genocide of the 20th century. “Concealing or denying evil is like allowing a wound to keep bleeding without bandaging it,” Francis said. Currently, 24 nations officially recognize the Armenian Genocide including Canada, France, Italy, and Russia. In addition, 43 U.S. States have passed bills recognizing the genocide. Obama's list: Are charges against Menendez politically motivated? Iran Nuclear Deal: Does Obama want Israel to commit suicide? In Deuteronomy 17:7, God instructs the ancient Israelites: "You must purge the evil from among you." Cal Thomas is America's most widely syndicated op-ed columnist. He joined Fox News Channel in 1997 as a political contributor. His latest book is "What Works: Common Sense Solutions for a Stronger America". 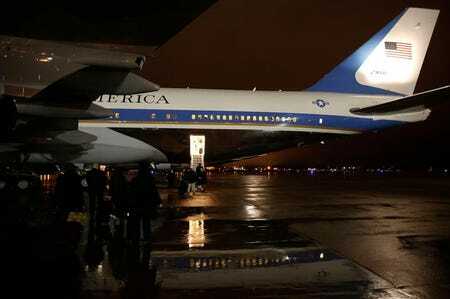 WASHINGTON (Reuters) - The U.S. Air Force plans to announce on Wednesday that it has decided to use Boeing Co's commercial 747-8 airliner to replace its current fleet of Air Force One presidential aircraft, two sources familiar with the decision said on Wednesday. The decision comes a month after Boeing said it would slow production of the 747-8 aircraft from 1.5 a month to 1.3 a month. On Thursday, White House press secretary Josh Earnest announced that the Obama administration would prioritize fighting Islamophobia in the aftermath of the terrorist attack on Charlie Hebdo in France. Never mind that most Westerners aren’t Islamophobic, but rather GettingShotInTheFaceForExpressingMyOpinion-Phobic. There are some individuals that are using a peaceful religion and grossly distorting it, and trying to use its tenets to inspire people around the globe to carry out acts of violence. And we have enjoyed significant success in enlisting leaders in the Muslim community, like I said, both in the United States and around the world to condemn that kind of messaging, to condemn those efforts to radicalize individuals, and to be clear about what the tenets of Islam actually are. And we’re going to redouble those efforts in the days and weeks ahead. This, of course, is not the first time the Obama administration has discovered a duty to illuminate the inherent beauty and wonder of Islam. Over and over again, the Obama administration, in high culturally imperialist dudgeon, has attempted to explain to the world the true meaning of Islam. My job is to communicate to the American people that the Muslim world is filled with extraordinary people who simply want to live their lives and see their children live better lives. My job to the Muslim world is to communicate that the Americans are not your enemy. If you forgot the provision of Article II of the Constitution that gives the president the authority to do outreach on behalf of Islam in the United States, that’s because it doesn’t exist. But don’t worry: Obama’s on the job. If you forgot the provision of Article II of the Constitution that places responsibility for fighting negative stereotypes of Islam in the hands of the executive branch, that’s because it doesn’t exist. But don’t worry: Obama’s on the job. When I became the NASA Administrator, [President Obama] charged me with three things. One, he wanted me to help re-inspire children to want to get into science and math; he wanted me to expand our international relationships; and third, and perhaps foremost, he wanted me to find a way to reach out to the Muslim world and engage much more with dominantly Muslim nations to help them feel good about their historic contribution to science, math and engineering. If you forgot the provision of the National Aeronautics and Space Act that grants authority to NASA to make Muslims feel good about medieval contributions to astronomy, that’s because it doesn’t exist. But don’t worry: Obama’s on the job. [A] crude and disgusting video sparked outrage throughout the Muslim world. Now, I have made it clear that the United States government had nothing to do with this video, and I believe its message must be rejected by all who respect our common humanity. It is an insult not only to Muslims, but to America as well — for as the city outside these walls makes clear, we are a country that has welcomed people of every race and every faith. We are home to Muslims who worship across our country. We not only respect the freedom of religion, we have laws that protect individuals from being harmed because of how they look or what they believe. We understand why people take offense to this video because millions of our citizens are among them….The future must not belong to those who slander the prophet of Islam. If you forgot the provision of the First Amendment to the Constitution that gives the president of the United States the authority to officially criticize exercise of First Amendment rights under color of authority, that’s because it doesn’t exist. But don’t worry: Obama’s on the job. [Our effort] has to start major efforts to delegitimize ISIS’s claim to some religious foundation for what it’s doing and begin to put real Islam out there and draw lines throughout the region. If you forgot the provision of Article II that lends authority to the State Department to “begin to put real Islam out there,” presumably in violation of the separation of church and state, that’s because it doesn’t exist. But don’t worry: Obama’s on the job. I say and repeat, again, that we are in need of a religious revolution. You imams are responsible before Allah. The entire world is waiting on you. The entire world is waiting for your word … because the Islamic world is being torn, it is being destroyed, it is being lost. And it is being lost by our own hands….It’s inconceivable that the thinking that we hold most sacred should cause the entire Islamic world to be a source of anxiety, danger, killing and destruction for the rest of the world. Impossible that this thinking — and I am not saying the religion — I am saying this thinking. This is antagonizing the entire world. It’s antagonizing the entire world! Does this mean that 1.6 billion people (Muslims) should want to kill the rest of the world’s inhabitants — that is 7 billion — so that they themselves may live? Impossible! Al-Sisi seems significantly more qualified to lead an educational effort about Islam than Barack Obama. But for the Obama administration to recognize the truth of al-Sisi’s statement would suggest that their own ignorance about Islam has prevented them from effecting change for the past six years. And that is an admission that President Obama and his lackeys refuse to make, given their deeply held belief that Islam isn’t the problem in any way. Now that President Barack Obama and Secretary of State John Kerry have launched their new friendship initiative with Cuba, progressives are thinking more optimistically about what else might be possible in the remainder of the president’s term. After all, since the November 2014 elections, Obama has moved sharply left on immigration, climate change, and net neutrality. So why shouldn’t the Left hope for more? 10. Marijuana to be completely decriminalized under the ever-expanding doctrine of “prosecutorial discretion.” In the meantime, the administration will push for a complete ban on all tobacco products and e-cigarettes. 9. The Federal Communications Commission to reimpose the “Fairness Doctrine” on radio; the FCC to further study whether the same Doctrine can be applied to cable TV news. 8. Jane Fonda to be named Secretary of Veterans Affairs; Ted Turner to be named Ambassador to the United Nations. 7. Wind-energy turbines to be made mandatory across the country, except for Cape Cod, The Hamptons, Malibu, and other coastal enclaves, where such turbines are forever forbidden. 6. The FDA and EPA to team up and decide that coal is a carcinogen. Meanwhile, solar panels are to be included in school lunches. 5. The Presidential Medal of Freedom to be awarded to Alec Baldwin, Michael Bloomberg, David Brock, Wendy Davis, Sandra Fluke, Arianna Huffington, Bill Maher. Michael Moore, and Rosie O’Donnell. 4. Posthumous presidential pardons for Joe Hill, Sacco & Vanzetti, the Rosenbergs, and also a pardon for a living prison inmate, Willie Horton. 3. Al Sharpton to be named White House Police Brutality Czar. 2. President Obama to commit to the complete eradication of both homophobia and Islamophobia. 1. The Obama administration to propose a new Constitutional Amendment allowing individuals born in Africa or Asia to serve as President of the United States; also, the administration to propose the repeal of the 22nd Amendment. Note: The makers of this list are confident that if President Obama follows through on all ten of these items, he will be awarded a second Nobel Peace Prize. Under the executive amnesty immigration action from President Barack Obama, internal administration documents show the administration is considering allowing terrorists, transnational criminals, and anyone else who wants to enter or stay inside the United States to not even answer if they’ve ever been connected with a crime. The internal Obama administration documents, obtained by Breitbart News through a Department of Homeland Security (DHS) source, include a draft application for illegal immigrants seeking to stay in the country and future prospective immigrants seeking to the enter the country. This draft application form shows the administration is considering not requiring such applicants to answer whether they’ve ever been in the U.S. for a “period of 6 months or more,” whether they’ve ever “filed an application or petition for immigration benefits with the U.S. government” or one has been filed on their behalf, whether they have ever been “denied or referred an immigration benefit by the U.S. Government, or had a benefit revoked or terminated (including but not limited to visas) or if they’ve ever been connected legally with a crime—regardless of its seriousness—inside or outside the United States of America." Accompanying the document which contains the proposed changes to the I-192 form is an “ICE Regulations” internal email sent to several ICE officials and DHS staffers, asking them to comment on the proposed USCIS changes for Obama’s executive order. “Please find attached for your review a U.S. Immigration and Customs Enforcement (USCIS) advance copy of proposed changes to the USCIS Form I-192, Application for Advance Permission to Enter as a Nonimmigrant, which expires April 30, 2015,” the email address “ICE Regulations” sent to a list of top internal ICE staffers on Nov. 4, 2014—on election day, as the American people rejected the president’s executive amnesty—at 9:49 a.m. exactly with the “importance" label of “high." Minor non-substantive corrections are made to the form as well as standard language and formatting updates. Changes from the existing form package are noted in red font and standard language used in all USCIS form packages (which should not require review) is noted in purple. To aid your review Word translations of the PDFs are included. Please use Track Changes, comment bubbles, and highlighting to indicate your requested edits. Word conversions are not 1-for-1 and some spelling and formatting errors may be present and do not need to be noted. The email specifically notes that DHS employees who received this document are not allowed to publish it or share with it anyone without express prior approval. “Authorization for Sharing: Do not share this draft rule, in whole or in part, with anyone outside of DHS without first obtaining authorization for such disclosure from the DHS OGC Regulatory Affairs Law Division," it reads, before noting the deadline for comments internally on this matter were due by noon on Friday, Nov. 14—six days before Obama’s executive amnesty announcement. At this time it’s unclear if these provisions included in the draft USCIS changes regarding T and U visas—or any other of the changes—will make it into the final documents for the president’s executive amnesty order. Those new documents are not public yet, and it’s unclear when they will be. Breitbart News has reached out to USCIS and ICE for comment, and both were unavailable to comment on the documents by press time, but have confirmed they’ve received press requests. We’ll update as we get more information on this front. The revelation that the president’s executive amnesty is even considering allowing anyone associated with criminal activity in the U.S. or abroad, including terrorism, to get U or T visas without answering questions regarding their potential criminal history could blow up negations on Capitol Hill right now for a long-term omnibus spending deal. Sometime later on Monday, or early on Tuesday, House Appropriations Committee chairman Rep. Hal Rogers (R-KY) is expected to—with Speaker John Boehner’s blessing—introduce a “CR-omnibus” spending package that will fund all of government except DHS through the end of the 2015 fiscal year in September and will fund DHS, including Obama’s amnesty—and these efforts by USCIS to process potential criminals under T and U visas—through at least March. Many rank-and-file Republicans in the House have been furious with GOP leaders on this matter.